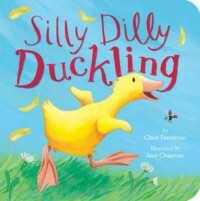 Silly Dilly Duckling written by Claire Freedman is a 1.8 on the Accelerated Reading leveling system. This story is about a baby duck whose feather falls out and drifts in the wind. The duckling thinks she must find it. A hedgehog and mouse try to help Dilly find the feather. However, Dilly returns home empty handed. Dilly's mother then says that one day she will lose all her down so new big feathers can grow in. This makes Dilly happy. This is a perfect book for young readers just starting school. It can be put in a lesson about growing up to teach that change is good, not scary. My Great-Aunt Arizona written by Gloria Houston is a 4.0 on the Accelerated Reading leveling system. 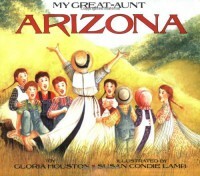 This story is from the point of view of a young girl telling about her great-aunt named Arizona. Arizona teaches at a one room school house for many years. The children come and go, but she touches each of them in a special way. In the end on the story Arizona dies, but her niece knows she lives on in the hearts of all the students she had an impact on. I think this book is perfect for any teacher at any level to read. It can also be used in the classroom at the beginning of the school year to demonstrate that teachers are not scary, but here to help. It also is a good lesson in a little kindness goes a long way. 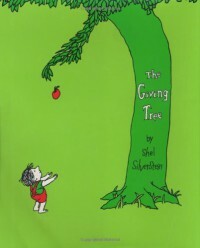 The Giving Tree by Shel Silverstein is a 2.6 on the Accelerated Reading leveling system. This story is about a tree who gives everything to a young boy anytime he asks. As a child, the boy loves to play with the tree. When the boy grows older he asks for fruit, leaves and wood as he needs to eat and build a house. In the end the tree gives everything and is just a stump. The story circles back around with the boy as an old man simply sitting with whats left of the tree once again. This story is perfect for a unit on sharing and helping other people when they ask. It could also be expanded upon to teach students not to take advantage of other's kindness. The very Hungry Caterpillar written by Eric Carle is a 2.9 on the Accelerated Reading leveling system. The story follows the week of a caterpillar as he eats quite a bit of food. The caterpillar eats so much in the end, he turns into a butterfly. The illustrations are eye catching and interesting. This simple book can be used to teach the days of the week to early learners, but also the life cycle of a butterfly to older elementary. 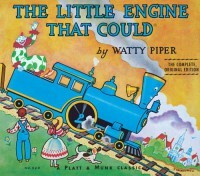 The little Engine that Could written by Watty Piper is a 3.5 on the Accelerated Reading leveling system. This story is about a train engine that is running smoothly on his track until he comes to a large hill. The train chants "I think I can" until he is able to cross over the summit. This is a perfect book for teaching persistence. It could be used to teach students to never give up and chase their dreams no matter how big or small. 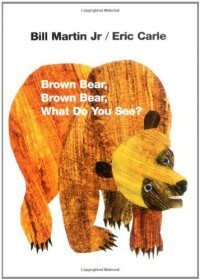 Brown Bear Brown Bear What Do You See by Eric Carle is a 1.5 on the Accelerated Reading leveling system. This story is a simple picture book about various animals that a bear sees. The story goes though many colors and also has beautiful illustrations. This book could be used when teaching a unit on colors or a unit on the five senses when related to sight. 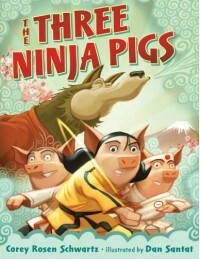 The Three Ninja Pigs written by Corey Rosen Schwartz is a 3.2 on the Accelerated Reading leveling system. This is a hilarious re-imagined version of the Three Little Pigs fable. In the story the pigs train to be ninjas to defeat the wolf. In the end only sister pig trains long enough and defeats the wolf. This is a great book for a fairy tales unit. It also shows that there are many versions of the same story for all different interests. 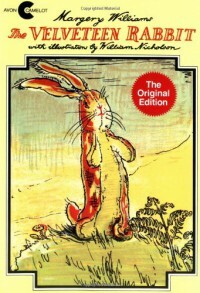 The Velveteen Rabbit written by Margery Williams is a 4.7 on the Accelerated Reading leveling system. The book is about a stuffed rabbit that loves his boy. One day the boy gets sick and must throw out the stuffed bunny because it carries germs. This makes the rabbit sad. However, the rabbit soon turns into a real bunny and gets to live a new life in the forest next to the boy's house. 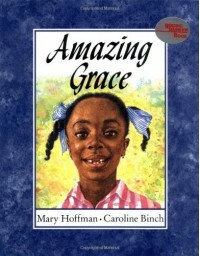 This is a perfect book for young children as a read aloud for the beginning of school. It demonstrates that growing up is inevitable, but it is also very exciting. 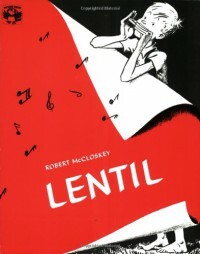 Lentil written by Robert McCloskey is a 4.8 on the Accelerated Reading leveling system. The story is about a young boy who plays the harmonica. The town is excited to welcome their hero home. Everyone except Sneep is getting ready. On the day of the parade, the band is ready to play and welcome the hero. Sneep shows up sucking loudly on a lemon. The band begins to pucker their lips. When the hero arrives, there is silence. Everyone stares at Sneep. Finally, Lentil breaks the silence by playing his harmonica. He saves the day and gets to lead the parade. This story could be used to show there is always a way to solve a problem. It is also a silly example of creativity and persistence. 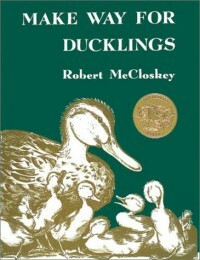 Make Way for Ducklings by Robert McCloskey is a 4.1 on the Accelerated Reading leveling system. The story is a fictitious book about a pair of ducks that live in a pond. When it comes time for their eggs to hatch, they realize that they must move because their pond has too many people and is too dangerous. In their search they are helped by a kind policeman when crossing the street. In the end they find the perfect pond to raise their babies. This could be used for two very different topics. It could be used when a new student joins the class as a read aloud. It could help the new student feel more comfortable. As a teacher, stress that moving is not a bad thing, and a silver lining can always be found. This story could also be used around Earth Day to teach the importance of animals and the environment. Teach the students that just as the policeman, we have to take care of animals and there are many ways to do that. 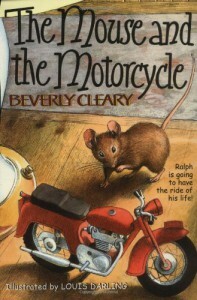 The Mouse and the Motorcycle written by Beverly Cleary is a 5.1 on the Accelerated Reading leveling system. The fictitious story follows the life of a mouse named Ralph that rides around on a toy motorcycle that he gets from a young boy. Ralph must work with the boy to get him medicine, and the boy must help Ralph by getting him food. The story is great for an older elementary class story. The story also looks at how good things can come from unexpected places. This could be a good book to read as a class at the beginning of the year to proactively teach students not to judge a book by its cover. 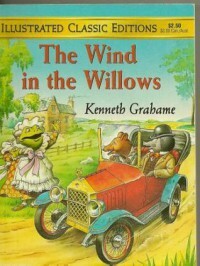 The Wind in the Willows by Malvina Vogel is an edited version of Kenneth Grahame's original story. 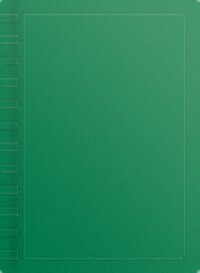 The book is a 5.2 on the Accelerated Reading leveling system. The story follows the lives of animals that exist and survive much like people. 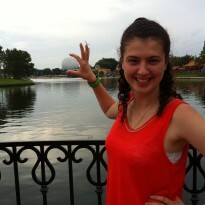 They must overcome obstacles that are both serious and funny that many humans face each day. This would be a great story for a reading nook. This book could be used in a fairy tale unit. It could also be used to teach students how to overcome obstacles creatively without giving up. The Story of Ferdinand the Bull by Munro Leaf is a 3.7 on the Accelerated Reading leveling system. This story is about a bull that just wants to relax in the sun and smell the flowers. His family and friends are all aggressive and look forward to the bull fights. One day when Ferdinand is big, he is chased by a bee. It just so happens that this is the same day men come out to find the best fighting bull. Ferdinand accidentally shows off all of his strength, and the men think Ferdinand is the best bull. They take him off to fight, but he just stares at the ladies flowers until the men are forced to take him back to the farm. This is a great book for a diversity unit. It is an example of how students do not have to be like everyone else, they just have to be themselves. This story could also be used for the first day of school to proactively stop bullying due to differences. 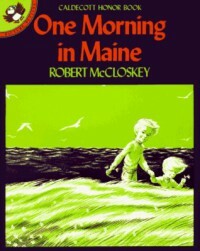 One Morning in Maine written by Robert McCloskey is a 4.4 on the Accelerated Reading leveling system. This is a great book about a four person family living in rural Maine. The story follows the day of a little girl. Throughout the story she helps her sister, loses a took, digs for clams, eats ice cream, and even makes a wish on a spark plug! The story would be a great addition for a unit on diversity. It gives a detailed example of how this child lived each day. Most students may not ever see the things discussed in the book. This book could be used to show students a lifestyle here in the U.S. that they may have never even heard of. The story could be presented as a read aloud for younger students or a center book for older students. 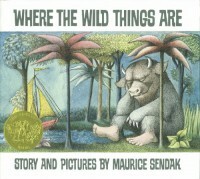 Where the Wild Things Are written by Maurice Sendak is a 3.4 on the Accelerated Reading leveling system. The story is about a young boy who travels to a land of monsters at night. He has fun, stays up late, and doesn't have to follow rules. In the end, he realizes that home is where he belong and is where he wants to be. This book could be used in the classroom at the beginning of the year to help students realize that rules are there for a good reason. This book could also be used in a fantasy unit for young readers.